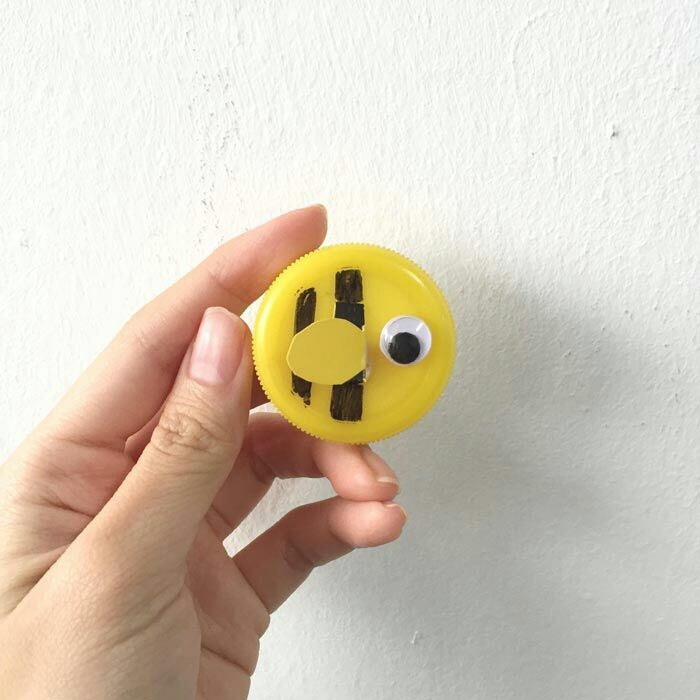 At KidEngage, we have a whole team that loves crafting and love to come up with new crafts everyday that are absolutely fun and easy to do with kids. In this new series, we will feature one DIY craft idea every week to help the parents keep their Craftsters constructively engaged. 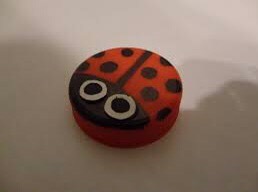 The bottle cap craft-This week’s contribution is by Gazal Sarpal who is our Events coordinator. Her idea is not just so much fun to make but is very easy on your pocket too as you do not have to hunt for a lot of materials at your stationary store. Just collect those various bottle caps, stuff to decorate and regular paints lying around at home. 1. Paint the bottle cap on both sides with red paint and keep aside for 2 hours for drying. Repeat a coat if necessary and let it dry. 2. Once dry, draw a line in the center with black paint. Also, paint a small semi circle on one side of the line. 3. Paint small black dots on the rest of the cap with black paint. Let it dry. 4. Glue the white and black bindi together and stick it on the black semicircle to make the eyes of the bug, as shown in the picture. 5. You can stick the bug on a card stock paper and paint leaves or log of wood to make it look colorful and decorative. 4. A small piece of yellow chart paper, cut into oval shape. 1. Paint the bottle cap on both sides with yellow paint and keep aside for 2 hours for drying. Repeat a coat if necessary and let it dry. 2. Once dry, draw two black lines towards one of the corners with black paint. Let it dry. 3. Glue the white and black bindi together and stick it on the other end to make an eye of the fish, as shown in the picture. 4. Cut a small piece of yellow chart paper into oval shape and stick it on the black lines to make a fin. 5. You can stick the fish on a blue card stock paper and paint bubbles or small plants to make it look colorful and decorative. Use your imagination and you can create rabbit, frog, octopus and other mini creatures with these minute caps. I hope you enjoy making the bottle crafts with your kids and stay delighted indoors too. Previous And we made some music!